Once the site of a Cistercian convent, this building retains some of its medieval splendour: ribbed vaults, stained-glass windows and the like. 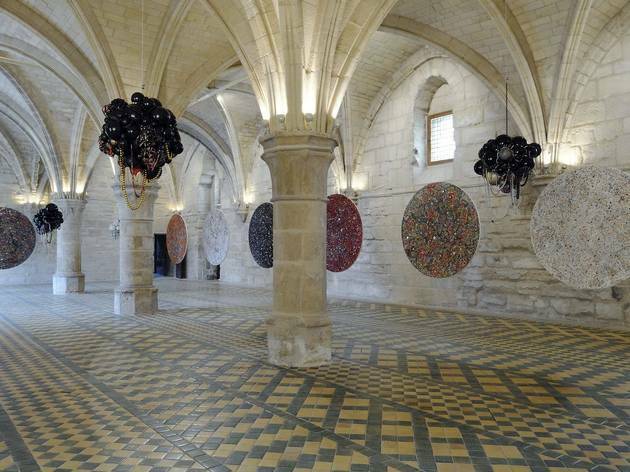 The Val d’Oise council, which has owned the abbey since the 1970s, has turned it into a centre dedicated to the plastic and visual arts that uniquely fuses medieval and contemporary aspects. Exhibitions are now held in the former barn, chapter house (where the religious community would assemble), toilets, hall and bedrooms. 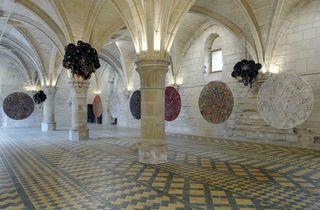 The artists are encouraged to draw inspiration from the historical surroundings, and incorporate them into their work. The abbey is nestled in the centre of a vast ten-hectare park, where artworks are sometimes displayed as well. Two exhibitions, each showcasing the work of a single artist, are held every year. Guided tours, conferences and special guests also feature.